NBC News reports the 9th Circuit Court of Appeals in San Francisco has overturned a 2016 jury verdict that found that the British band did not steal any original music from "Taurus," a 1968 track by the Los Angeles band Spirit. "Taurus" was written by the late Spirit guitarist Randy Wolfe, better known as Randy California, whose trust brought the copyright infringement lawsuit. 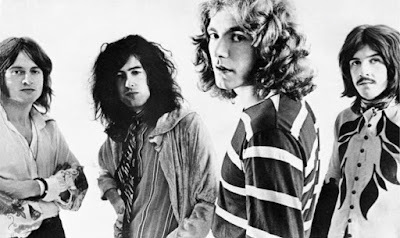 Michael Skidmore, the trustee for Wolfe, has said Led Zeppelin lead vocalist Robert Plant and guitarist Jimmy Page may have been inspired to write 1971's "Stairway" after hearing Spirit perform "Taurus" while the bands toured together in 1968 and 1969. But the federal appeals court panel that overturned the 2016 ruling held that parts of the jury instructions in that trial were erroneous and prejudicial; the court said the judge erred by telling the jury that common musical elements, such as "descending chromatic scales, arpeggios or short sequences of three notes," were not protected by copyright. The court also said the jury should have been permitted to hear the album recording of "Taurus." "Without a selection and arrangement instruction, the jury instructions severely undermined Skidmore's argument for extrinsic similarity, which is exactly what the jury found lacking,” wrote Circuit Judge Richard A. Paez for the court. The two-week trial in 2016 saw Page, Plant and non-defendant John Paul Jones take the stand to deny exposure to “Taurus” while explaining the creation of “Stairway” at Headley Grange. Music experts testified that both songs share a commonplace descending chromatic line that has existed for hundreds of years. One of the best-selling albums in music history, the project went on to sell more than 37 million copies worldwide, including 23 million in the US alone. On October 9, the iconic hard rock group will publish “Led Zeppelin By Led Zeppelin”, the first and only official illustrated book to be produced in collaboration with the members of the band.